American University in Cairo Press, 9789774167218, 160pp. For centuries following its reestablishment as Constantinople in AD 330, Istanbul served as the capital of three great empires: Roman, Byzantine, and Ottoman. The city's maze-like streets and high balconies, its steep alleys, flower gardens, and forested hillsides remain soaked in the vestiges of that imperial past, and it is to that past and to Istanbul's unearthly moods and waters that so many writers and diarists journeyed in search of escape, knowledge, happiness, or sheer wonderment. 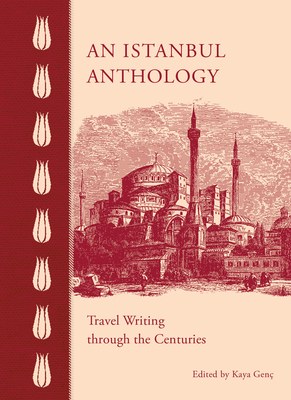 An Istanbul Anthology takes us on a nostalgic journey through the city with travelers' accounts of the sights, smells, and sounds of Istanbul's bazaars and coffeehouses, its grand palaces and gardens, crumbling buildings, and ancient churches and mosques, and the waters that so haunt and define it. With writers such as Gustave Flaubert, Pierre Loti, Ernest Hemingway, Mark Twain, and Andr Gide, we discover and rediscover the many delights of this great city of antiquity, meeting point of East and West, and gateway to peoples and civilizations. About the series: The elegant, pocket-sized volumes in the AUC Press Anthology series feature the writings and observations of travel writers and diarists through the centuries. Vivid and evocative travelers' accounts of some of the world's great cities and regions are enhanced by the exquisite vintage design in small hardback format that make the books ideal gift books as well as perfect travel companions. Designed on cream paper stock and beautifully illustrated with line drawings and archival photographs.